That cow is dead now which leaves only one beast left on the island. The Vaikona cow died of loneliness and unfullfilled aspirations for a cow revolution on Niue. 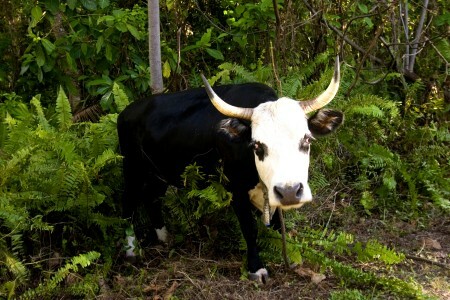 The one horned, fern eating cow on the Alofi/Liku road is the only one left and no bulls. Not a good demographic if you want to have a cow revolution. 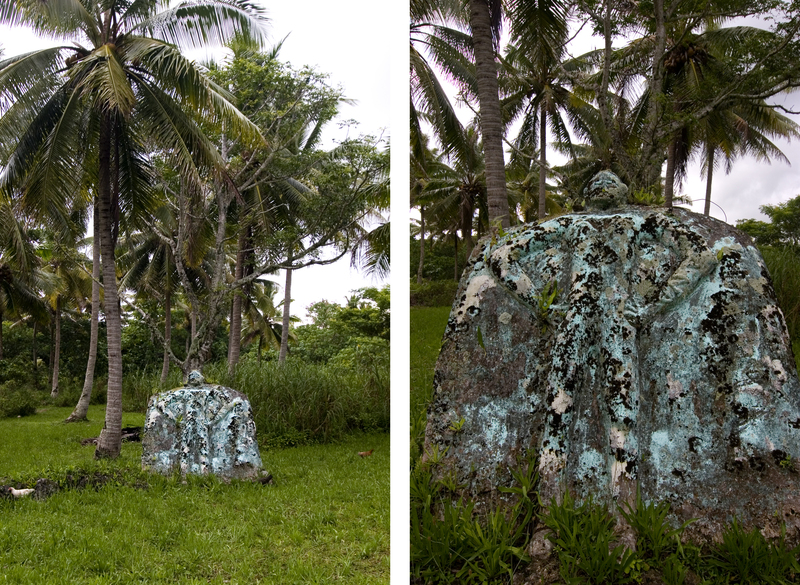 The small breasted Iki Motu effigy was actually planted in Liku by extra terrestrials. You ask any villager and they cannot tell you where it came from or who it depicts. There is a strange loss of memory documented in Liku during a period between 1897 and about 1905. There is a collective amnesia during this period but it is believed that ETs came and took over Liku during that period, built a church, interbred with the Liku people, took some of them with them when they left. My children have always had a vague, stargazing disposition. This is because they are one quarter extra terrestrial. And so the Iki Motu statue is sacred to them. ?? … we went around the island on the day (during one of our trips home back then) & it made the day for my two sons, we suddenly stopped brakes when we come across this ‘coconut farm’ in Liku … just as we all kept the habit with seat-belts on…”there’s a cow on Niue, 2x….” … ” it looks lonely… kept looking for another one, no it looked like its on its own, oh poor thing, its not right … should have two of whatever for company?” “oh poor cow” … “bye cow” … THIS WAS THE HIGH LIGHT OF OUR TRIP FOR MY BOYS & THE TALK OF THE FAMILY WHEN WE GOT BACK TO AUCKLAND especially to their dad. (thanks for bringing this up …) ? ?